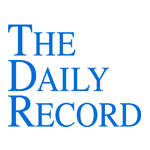 This week's Daily Record column is entitled "Free legal research, educational info for lawyers." It used to be that the only place that lawyers could obtain free access to legal research and information was at the law library. My how things have changed! Nowadays, lawyers have available to them a vast array of free online and mobile-based legal resources, including free legal research portals, online legal databases and educational videos. The problem is that many lawyers simply don’t realize that these resources exist. Well, that’s going to change right here, right now. In this article you’ll learn about some of the latest tools, resources and legal research portals available to lawyers. And, guess what? They don’t cost an arm and a leg. In fact, they won’t cost you anything — they’re free. First, there’s Fastcase. If you’re not familiar with Fastcase, it is a company that offers lawyers an affordable online legal research alternative to the traditional mainstays of legal research, Lexis and Westlaw. But, in addition to its reasonably priced research platform, it also offers lawyers free tools as well. First, Fastcase offers lawyers a free legal research app for iPhones and iPads so that you can conduct legal research on the go. It gives you full access to their legal database of case law and statutes, but you can’t save your searches, nor can you email or print cases from the app. 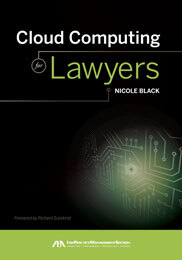 Fastcase also just announced that it is making Advance Sheets available in e-book format for free. In other words, you no longer have to pay $850 for an annual subscription to Advance Sheets in paper format; you can now receive the same information in e-book format for free. You can also conduct free online legal research with Google Scholar. Using Google Scholar, lawyers can search the opinions of all federal and state courts, in addition to journals and other legal publications. One of the drawbacks of Google Scholar has long been the inability to reliably cite check cases. However, Google Scholar recently improved upon that feature, so that when you search Google Scholar for a case name and cite, it sorts the results by placing those that involve the most discussion of the case at the top of the results. This improvement brings Google Scholar one step closer to replacing traditional — and expensive — legal research platforms. You can also access most U.S. laws online for free. So, if you’re looking for a statute or regulation, you access all state and federal laws for no charge at Cornell’s Legal Information Institute. Finally, Lawline, a long-time provider of reasonably priced online CLEs, just announced last week that all of its online content can now be viewed for free. That means that there are now hundreds of hours of video CLEs available for instantaneous viewing on just about every conceivable topic, ranging from criminal law and bankruptcy law to corporate law, education law, and more. CLE credits aren’t available unless you pay a fee, however. But even so, you now have a ton of useful, professionally produced CLE programs right at your fingertips — and at no cost to you! So what are you waiting for? There are a ton of incredibly useful legal resources and tools available to you for free. Fire up your computer, download an app to your iPad or iPhone, and get started!